Gretchen from Canela & Comino is hosting Weekend Herb Blogging and this week I'm accompanied by a rather slimy character of the vegetable world - Okra. Okra does have a rather unfortunate reputation but like many things in the food world, it isn't nearly as bad as it is made out to be. This pentagon shaped vegetable originally comes from Africa and is a relative of Hibiscus. Both the pods and leaves are edible. Nutrient rich, it contains Vitamins A,B6,C,E and K, Folate, Niacin, Pantothenic Acid, Riboflavin and Thiamin as well as Calcium, Copper, Iron, Magnesium, Manganese, Phosphorus, Potassium and Zinc. For inspiration I've turned once again to a recent restaurant meal - this time from Matteo's, a simple but clever, tempura okra. Encasing the okra, a crisp but light tempura batter - the vegetable tender but without any of those slimy characteristics. Choose small (finger sized) specimens that are firm and free of blemishes - a good idea is to check out the tip and the stem for freshness. 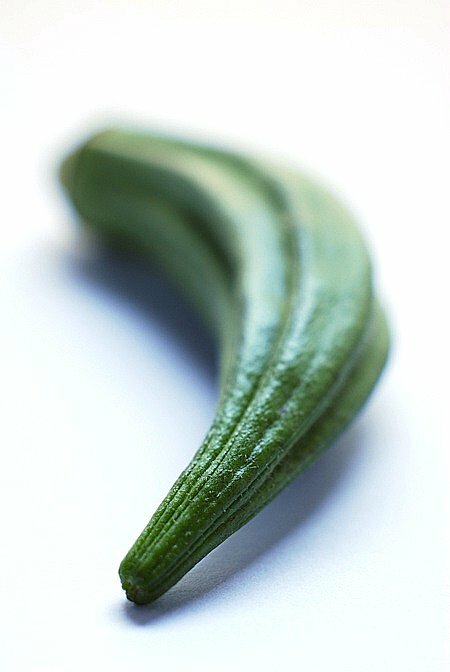 Slice the stem just at the tip of the okra and then cut in half lengthways. Tempura flour is a specialty product from Japan - a combination of flours that makes achieving that perfect tempura batter much more easier. It's a combination of flours - the exact mix varies according to manufacturer. The one I used is a mix of wheat and rice flours and does not require the use of eggs. Sift the flour and paprika into a bowl, tip in a cupful of ice and using chopsticks, stir in the water. Don't overwork the batter and don't worry if there are lumps - that is normal for tempura. I've added paprika not so much as a flavour but to slightly colour the batter. I use ice because that ensures an ice-cold batter and it's this temperature differential between ice cold batter and hot oil that creates that crisp batter. Once the batter is made you should use it straight away. When it comes to deep frying I prefer to do things in small batches. I use a small saucepan, half filled with oil. I find that this gives me much better control and for those that are wary of deep-frying, it's an approach I would recommend. Add the okra to the batter in batches - 4 at a time is a good number. Ensure they are well coated and when the oil is at the correct temperature, add them cut side down, one at a time to the oil. They should sizzle as they hit the oil and float. Once the underside is crisp, flip over to complete the cooking. Place on paper towels to remove any excess oil. Repeat until all the okra are cooked. They don't take very long to cook - somewhere between 30 seconds to a minute depending on the size. There's a hint of paprika colouring in the thin tempura coating, I love how the vegetable pokes through letting you know exactly what it is. 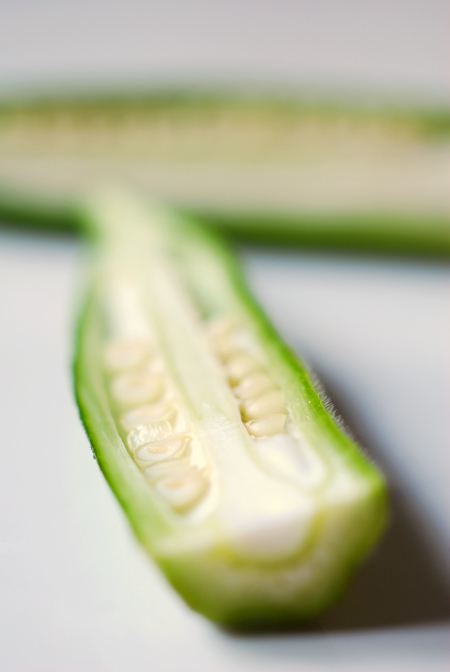 Serve them pilled high with pre-dinner drinks - one taste and you'll be seeing okra in a new light. Yum! I've never really understood the objections to okra. It's so very tasty, and I think the texture and the seeds are interesting, not off-putting. I enjoy it best lightly breaded and fried. I'll have to try it with tempura batter! I love okra. I've never tasted it this way. I'd love to try it. Thanks Kitt - crumbed okra sounds really tasty! Thanks Heart - that's excellent advice and a great recipe too! 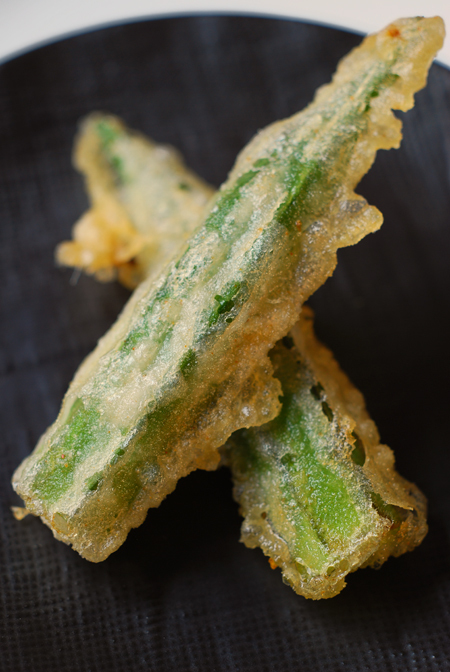 I for one am a okra lover, and I'm glad to see a recipe for it out here in the blogosphere, especially a tempura recipe! This is the second tempura recipe I've seen today, and it's inspiring me to try it! Love the close-up photos! I haven't had okra in ages...my Mum puts it in one of my favourite broths...which she hasn't made in a while...must give her a call about that ;) Tempuraed okra sounds divine. I've only cooked okra in gumbo, but this sounds fantastic. And I have that "fear of frying" thing going on, so your idea of a small pan would work for me. Sounds delicious! Thanks Joanna - hope you get to try some! Thanks MK - hope you like it! 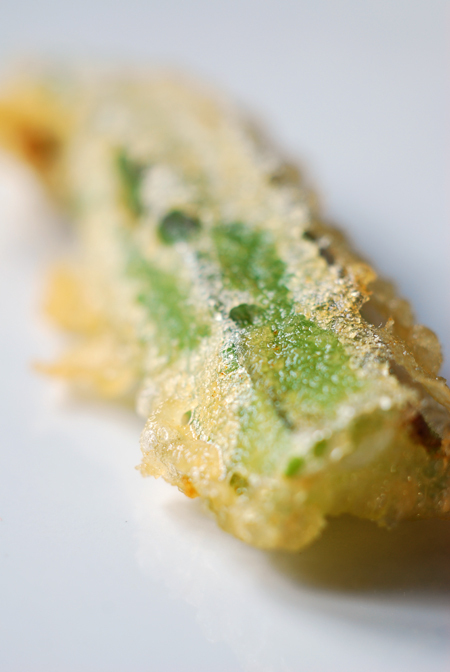 Tempura okra is a great idea, because I do not like the soft, stewy kind, sorry!!!! This is my first time here... u have a lovely blog... I really liked them! 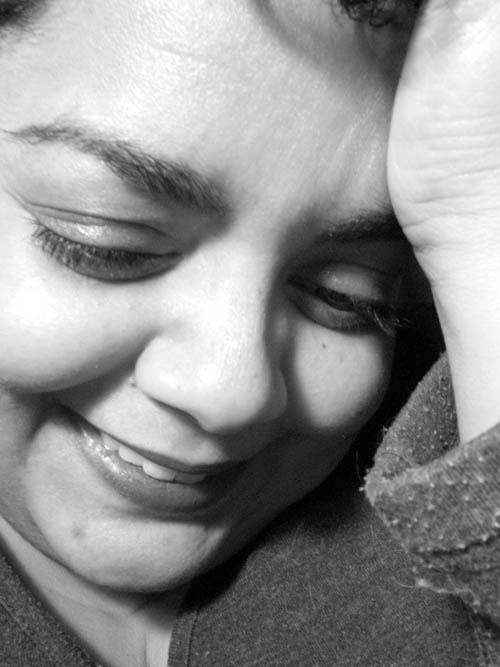 I Loved the okra recipe... n lovely pics too!! i have had tempura okra at tempura hajime and was in love though, so might have to give this a go! 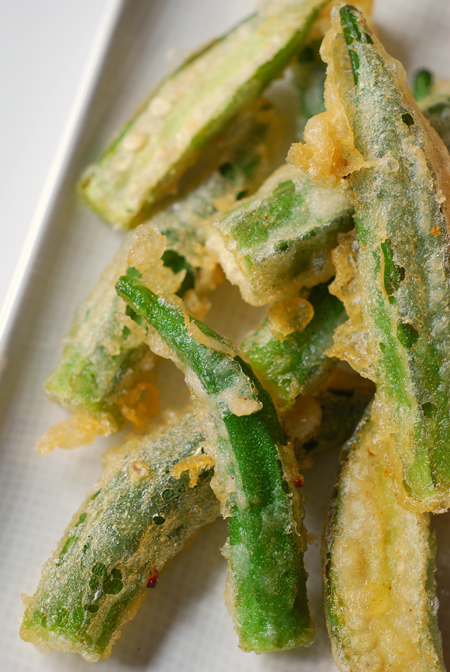 Hi Nina - tempura okra would be ideal for you, still crisp and no slime! Thanks Ran - you've probably had it at the best tempura place in oz, it will be hard to top that! I love this lady finger vegetable. This is a great dish for appetizer! Looks real crunchy! Thanks Sherra - it is very crunchy!